As you might know, I’m a sucker for mid-century architecture. Are you? 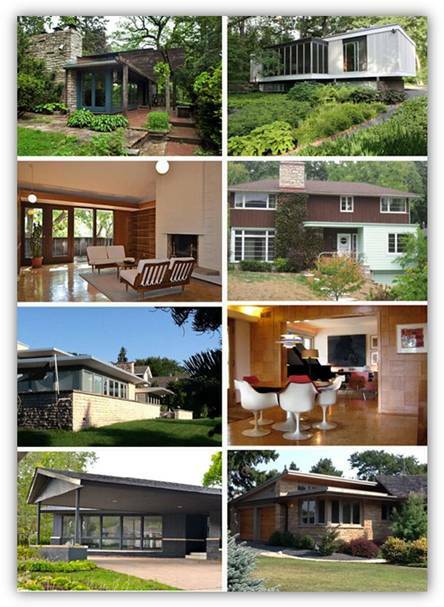 If so, please join me this weekend for Docomomo US/MN’s modern homes tour. 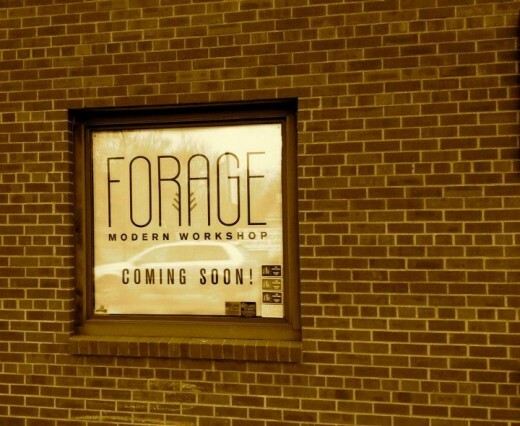 As a full disclosure, I am on the board of directors for this nonprofit, whose mission is to document and conserve buildings and sites of the modern movement. The tour is this Saturday, October 6th and includes a morning tour of homes designed by architect, Robert Cerny and an afternoon tour of homes on Cedar Lake. The best part is that not only do you get to admire the outside architecture, but you actually get to go inside the homes and appreciate the interiors. The above photograph is a sample of all of the homes on this year’s tour. To learn more information on how to purchase tickets, visit www.docomomo-us-mn.org. 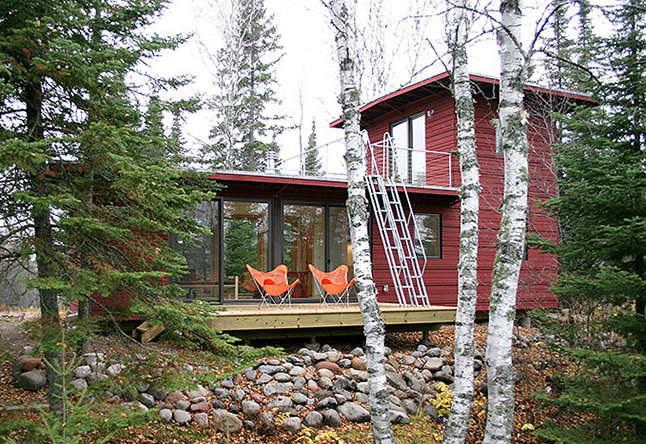 Photo courtesy of Rapson Inc.
Ralph Rapson accomplished a lot during his lifetime as an architect and furniture designer. 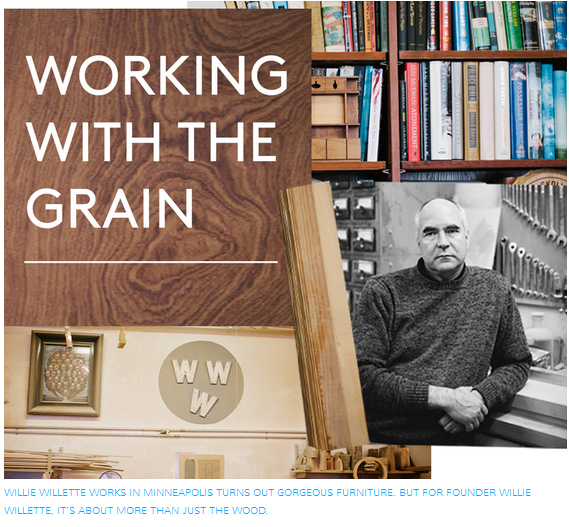 Now the team at Rapson Inc. are ensuring that his ideas become eco-friendly furniture by teaming up with Duluth based Loll Designs. 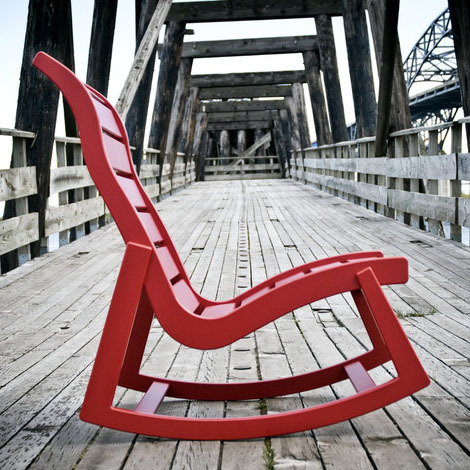 The new Loll Rapson Rocker is not yet for sale, but was recently previewed at the ICFF 2012 (International Contemporary Furniture Fair) in New York City. The partnership is perfect to combine Rapson’s stylish chair design with Loll’s recycled materials to bring the ultimate modern outdoor chair. I’m looking forward to start seeing it around town! Minnesota architect, Ralph Rapson, is known for his collection of unique architecture. His designs include Riverside Plaza, the former Guthrie theater and the Rarig Center for the Performing Arts. 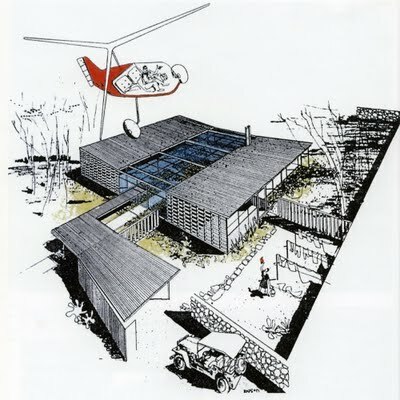 In addition to constructing some Modern buildings in Minnesota, Rapson was a talented sketch artist. He took his sketchbook everywhere with him, including his world travels. Rapson’s drawings possess a beautiful use of shadows, strong lines and placement of landscapes and characters. This Friday, October 29th, join the Goldstein Museum of Design from 6-8pm as they kick off their new exhibit, The Importance of Drawing: Ralph Rapson’s Legacy. The exhibit will feature original drawings from Rapson, along with work by his colleagues and students. 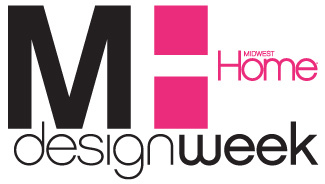 The exhibit is in HGA Gallery in Rapson Hall and runs from October 29th-January 9. You may find more details here. For anyone who is interested in keeping Minnesota’s architectural history alive, check out the MN chapter of DOCOMOMO. It stands for the DOcumentation and COnservation of buildings and sites neighborhoods of the MOdern MOvement. This international organization promotes the study, interpretation and protection of architecture, landscape and urban design of the modern movement. 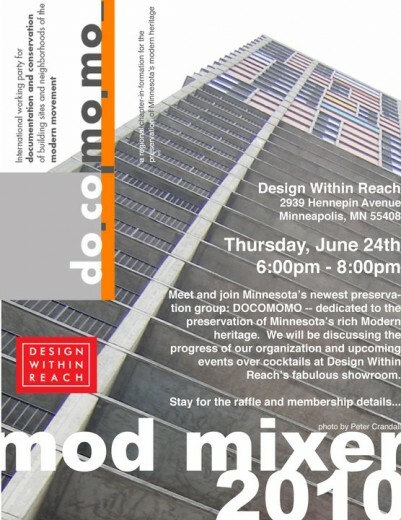 This Thursday, June 24th, Design Within Reach is hosting a Mod Mixer from 6-8pm. Come out and talk over cocktails about the progress of the organizations and details of upcoming events. Stay for the raffle and membership details!